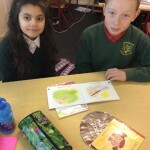 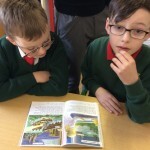 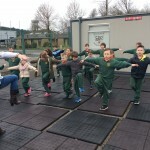 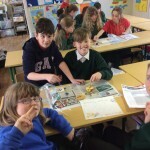 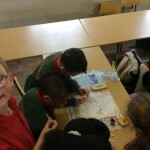 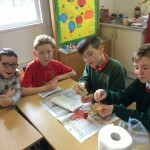 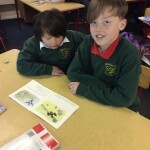 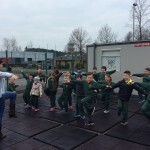 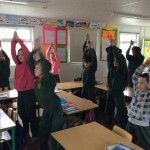 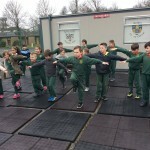 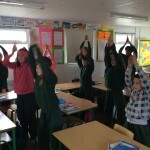 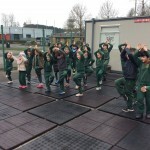 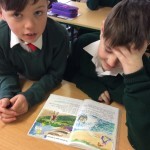 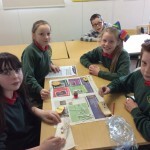 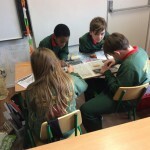 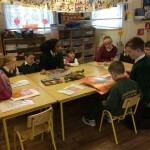 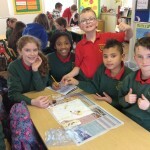 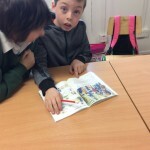 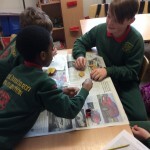 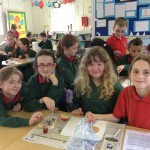 Páistí ó Rang 4-6 ag baint taitneamh as cheacht eolaíochta le déanaí; ag teastáil le haghaidh stáirse! 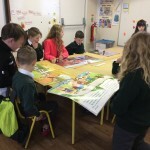 Bhaineamar an-taitneamh as bheith páirteach ins an “Deich ag a deich”. 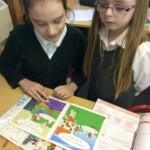 Shocraigh ar alán scoileanna timpeall na tíre deich nóiméad a chaitheamh ag bogadh, ag rith, ag síneadh – aon rud fisiciúil, ag a deich a chlog, ar an lá céanna chun feasacht na bpáistí a mhéadú ó thaobh na haclaíochta de agus cé comh tabhachtach is atá sé chun saol sláintiúil a bheith againn. 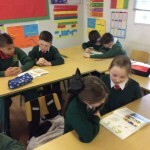 Chuireamar tús le léitheoireacht roinnte idir na ranganna go léir; Chuaigh Rang a Sé go dtí na Naoináin, bhí rang a cúig ag léamh le rang a haon, rang a trí agus a dó le rang a ceathair. 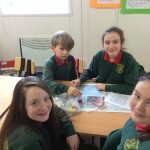 Bhain ghach éinne an-taitneamh as!